WHY: Swords-Smith is hosting a massive, multi-designer Great Minds Sample Sale in Williamsburg, Brooklyn. The sale will include womenswear, menswear, jewelry, accessories and more up to 90% off! The merchandise includes Swords-Smith stock, plus additional designers (over 80 designers total) up to 90% off, including Samuji, Samantha Pleet, Henrik Vibskov, Rodebjer, IMAGO-A, Reality Studio, Ajaie Alaie, Kurt Lyle, M. Patmos, H Fredriksson, In God We Trust, Martiniano, Morgan Carper, Correll Correll, International Playground, Collina Strada, Corridor, Eleven Six, Gray Matters, MM6 Maison Margiela, Hope, Priory, Deveaux, Soulland, Willy Chavarria and many, many more! Contact [email protected] for any additional information. 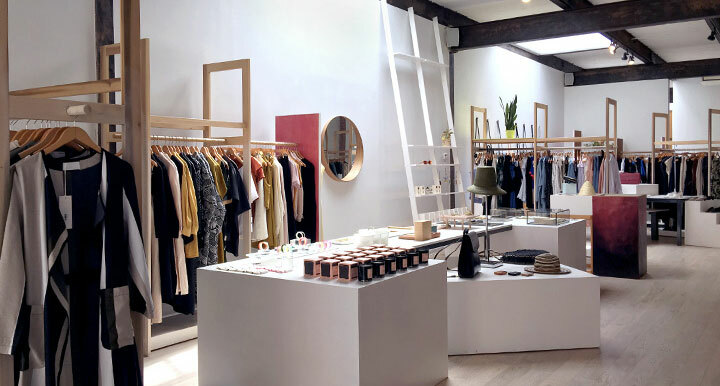 SWORDS-SMITH is an airy, modern space presenting fashion-forward styles for men & women from independent designers. The store and website carry a unique curation of more than 80 talented designers, the in-house SWORDS-SMITH collection and exclusive collaborations with other brands, artists and friends.